Weather update – last updated Sunday 5:30AM – The event is still going ahead. For detailed Mt. Crawford weather updates, click here. 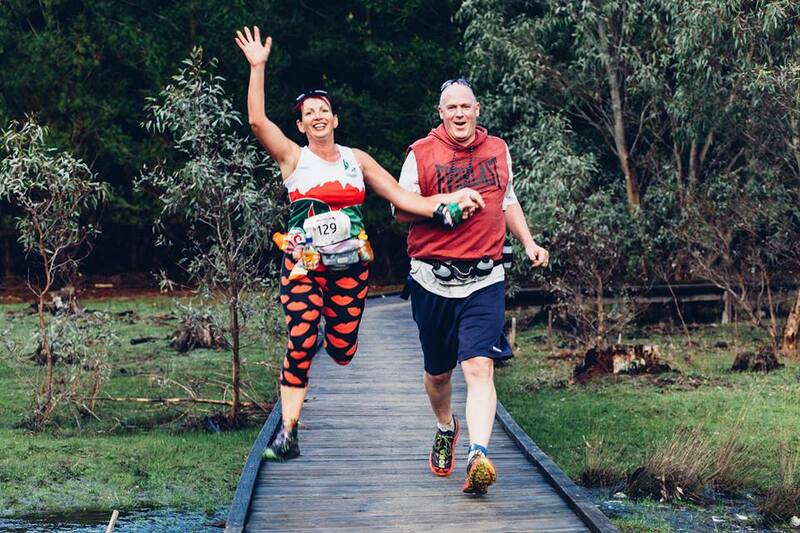 HAVE FUN – All trail runs should be fun. Just because it’s muddy doesn’t mean you can’t enjoy yourself. In fact, wet trails are more fun than dry and dusty ones. Remember being a kid playing in the rain and mud? Stop trying to skirt the puddles and charge right through. Get dirty. GORGE ROAD CLOSED – The SA Transport Department has closed Gorge Rd between Playford Bridge and Torrens Hill Rd due to the continuing wet weather so please find an alternative route to the event if you planning on coming that way. See here for more details. 12 New to Trail Running SA? The Mt. Crawford event is the third event in the 2017 TRSA Series, although you don’t need to be a series competitor to enter – all are welcome. For more information on the series, click here. 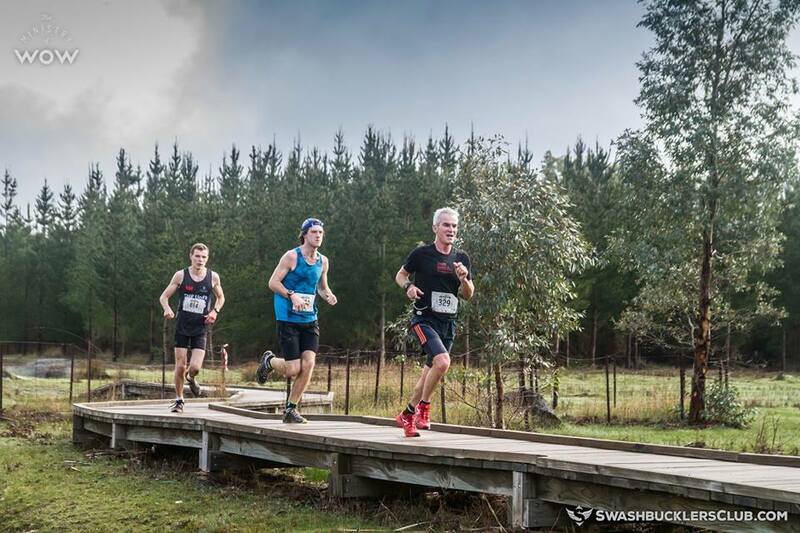 The course goes mainly along broad tracks through native woodlands and pine plantations. One section has splendid views over surrounding country, and another goes along a boardwalk through a swamp. 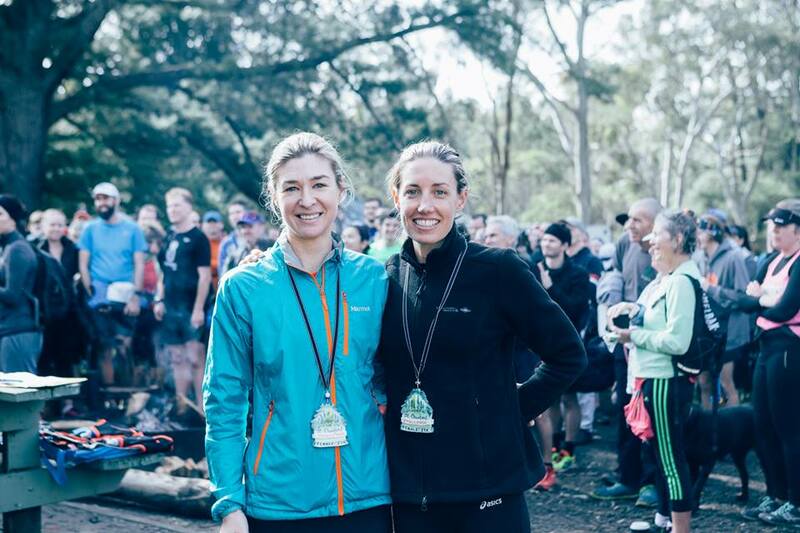 The longer courses also take in the beautiful Watts Gully native forest reserve and Warren Conservation park. 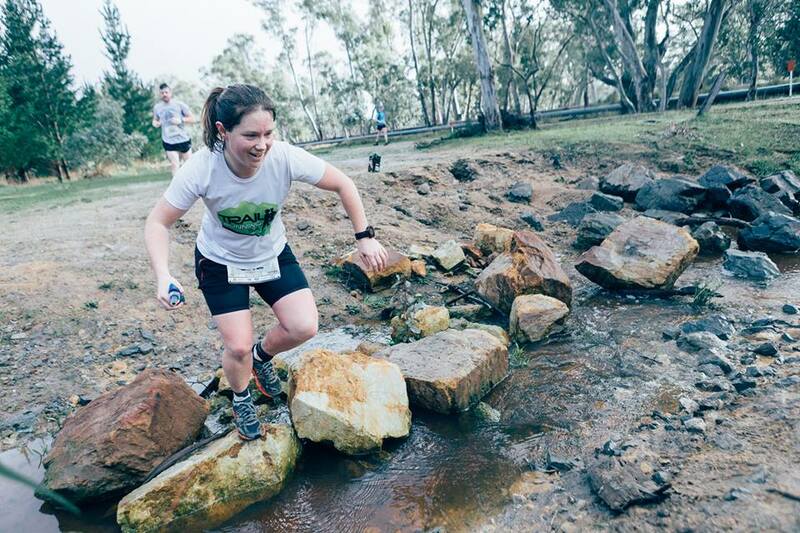 5 water stations along the 35 km course, 3 along the 24 km course, and 2 along the 13 km course. A free camping option, should you wish to stay the night before. For more information and to RSVP see the camping section below. The Running Company: 3 x $50 vouchers for use in store on any footwear, packs or GPS watches, and 4 x pairs of lucky dip Salomon shoes. Groovy Gaiters: 4 x pairs of Groovy Gaiters. Mojo Kombucha drinks: 1 x mix case (12 bottles) of Mojo Kombucha drinks, valued at $50. 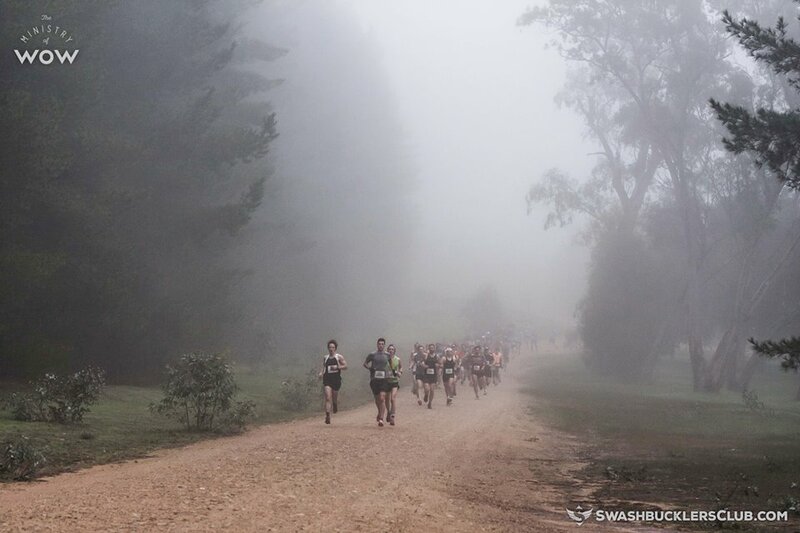 Trail Running SA will be giving away 3x free entry codes to our following event, Mt Hayfield. David from ioMerino, Sue from Groovy Gaiters, and Mark from Mojo Kombucha drinks will be set up on the day for you to check out their products and buy anything you like the look of. Bring cash for purchases. Toby from Form Physiotherapy will also be there on the day for a chat and advice about all things running. Head over to the registration page to enter now. Entries close Midday (noon) Friday, August 4, 2017. There will be no race-day registrations. You must register in advance using the link above. Entries close Midday (noon) Friday, August 8, 2017. If you want your name printed on your bib then your entry must be received by Midnight, Sunday 30th of July. Your name will be automatically included on your bib if you get your entry in by this date. 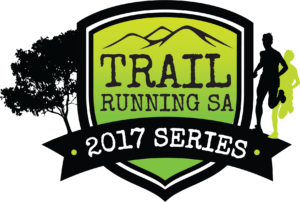 Trail Running SA has booked the whole Chalks camp ground from 5 pm Friday till 3pm Sunday and there will be plenty of room. 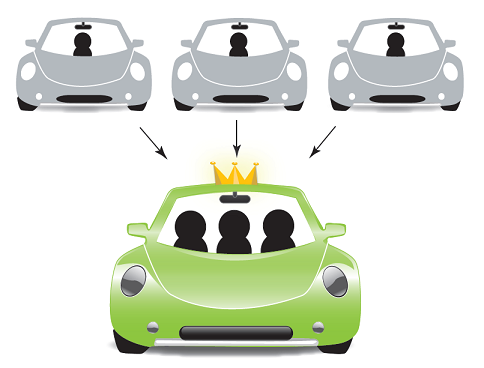 There is no charge to entrants, their families and friends. Cars can be parked next to tents and some people have asked if they can sleep in their vehicle – this is OK too. The race director will be there from Friday evening. To RSVP and let us know you are coming, fill out this form. 35 km run: closes at 9:17 min/km. 24 km run: closes at 10:28 min/km. 13 km run / walk: closes at 14:41 min/km. Welcome! We permit walkers in the shortest distance only. This is to ensure that everyone is back safely and accounted for in time for presentations. Although we ask during registration whether you are walking or running, we don’t time the walking event separately to the running event. You can run if you like too. 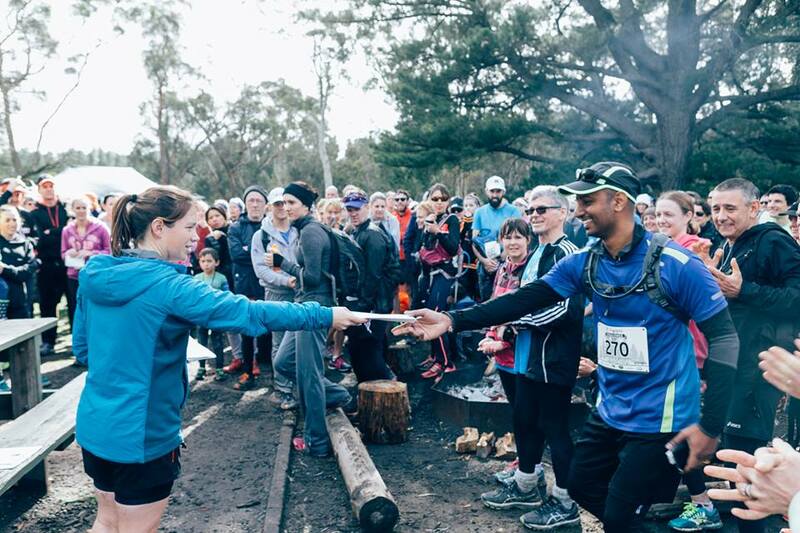 The start and finish of the loop are at Chalks Rd camp ground, which is clearly signposted on the western side of Warren Rd (which is the Birdwood to Williamstown road), 10.5 kms from Birdwood Town Centre and 11 kms from Williamstown. Click here for google maps directions. Probably the easiest route for most people is via North-East Rd past Tea Tree Plaza, and then through Inglewood and Gumeracha along the Torrens Valley Scenic Rd. At the eastern end of Gumeracha, turn left (northwards, signposted to Forreston) into Randell Terrace which becomes Forreston Rd. Go for 11 kms from this turnoff, turn left at junction with Warren Rd, and a few hundred metres further on, you reach the signpost to Chalks Rd camping ground on the left. .Allow 40 minutes for this route from Tea Tree Plaza. Or you could go along Gorge Rd, and after about 18 kms from Athelstone shopping centre, take the turning to the left signposted Williamstown. After another 2 kms turn right into the Torrens Valley Scenic Rd to Gumeracha; then proceed as above, through Gumeracha. If you get there via the South Eastern Freeway, take the turnoff signposted Woodside to the left, and continue for 31 kms until you come to the turnoff to the left signposted Birdwood Town Centre. Take this, and go through Birdwood. The turnoff to the the right to Williamstown is one km after the centre, and the Chalks Rd camping ground is signposted 10.5 kms further on the left, about one km north of the junction of Warren Rd with Forreston Rd and one km south of the junction with Cricks Mill Rd (signposted Mt Pleasant). Allow one hour for the whole journey from the start of the Freeway (at the junction with Cross Rd and Portrush Rd) to Chalks Rd camp ground. To avoid long queues at the portaloos when you get there, please use a public toilet on the way. There are public toilets in Birdwood, Gumeracha, Mt Pleasant and Williamstown. 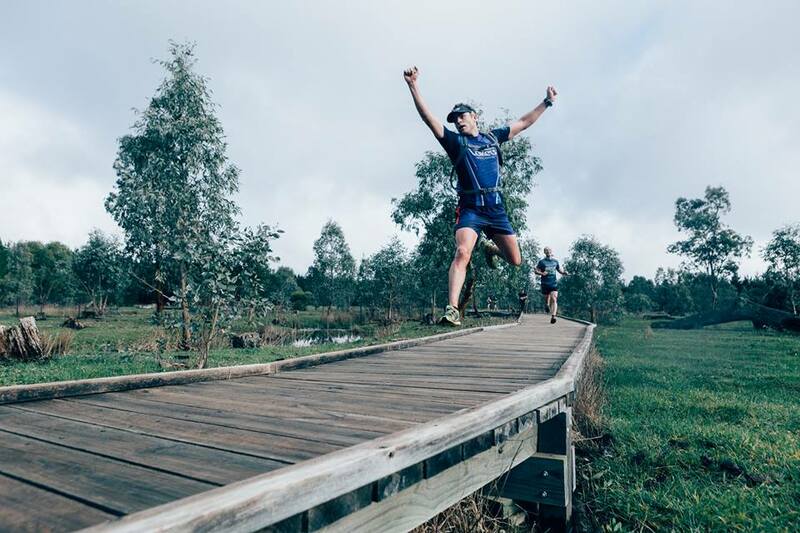 24 km run at 8:10 a.m.
13 km run/walk at 9:10 a.m.
We have booked out the entire campsite for exclusive use so if you would like to camp the night before it is free for entrants, their friends and families. Presentations will be at 11:30am. Beware of slippery patches on the tracks. Bare, packed, earth covered by green moss may be very slippery. Carry your phone on you when running as it could be critical if you get lost. Bring your own bottle belts or hydration packs (camelbaks), because there will be no cups of water at the drink stations. For those who forget to bring water containers, soft bottles (at $3.30 each) and small plastic bottles of spring water (at 35c each) will be available for sale at the bib pick-up table. There will be water, fruit, and Maurice’s delicious brownies, as well as two commercial coffee vans, a food truck and Mojo Kombucha drinks at the race start/finish. Bring cash for coffee, the food truck and Mojo Kombucha drinks as EFT-POS facilities will not be available. There will be portaloos and a single bush toilet at the Chalks Rd camp ground. There are also toilets, with showers, at the Forestry HQ 3.5 kms towards Williamstown, on the north side of the road.